Yeah, summer is here! Is there any better time than this to eat raw food? I have to admit that when I first considered reading this book, I thought I was a raw food enthusiast. I eat a lot of raw food on a regular basis! When I started reading Alive in 5 Raw Gourmet Meals in Five Minutes by Angela Elliott, I realized that this was going to be a little harder than I thought. The book is set up very well. There is a lot of helpful information on a wide variety of fruits and vegetables. The book has a pantry guide and helpful tips for working with raw foods. It also has a menu plan for a week to get you started. The recipes are easy to follow and written well. There are a few photos to show you what some of the end results will look like. Everything looks fresh and bright! 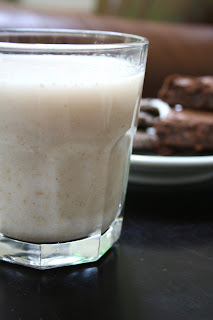 I felt adventuresome and started with Pecan Milk. I was extremely happy with the results. Not only was it pleasant to drink, everybody used it in their oatmeal for breakfast! Next I made Raita. This was perfect for my lunch! I will definitely be making this one again throughout the summer! 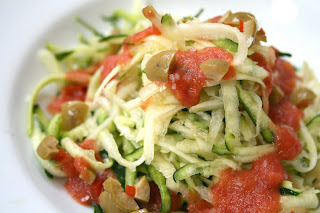 The last thing I made was the Zucchini Spaghetti with Rawsome Italiano. I have used zucchini in the past for my pasta, but not quite this way. 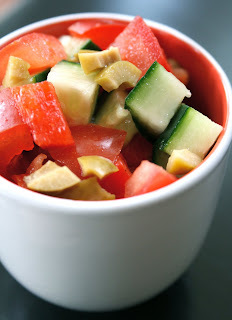 I think this is another great recipe for using up some of the summer bounty of tomatoes and zucchini! I will tell you that I eat raw food on a regular basis. So, for times that you are looking for something different and fresh, Alive in 5 Raw Gourmet Meals in Five Minutes is a good choice. The recipes come together very quickly and that is always a plus in my house!